Inspiring, innovative and one of the most influential design stores in town, this Colombo 07 mecca is crammed with the most desirable labels. A modern yet surprisingly warm and textural temple to the many, much-lusted-after, collections housed in this chic shopping enclave on Horton Place in Colombo 07, PR. 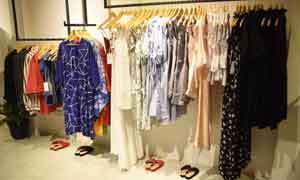 The Colombo concept store by Annika Fernando has everything a modern chic wardrobe needs. It is an interesting space to shop and is arguably Colombo’s best-known luxury fashion destination with heaps of emerging and established desirable names. 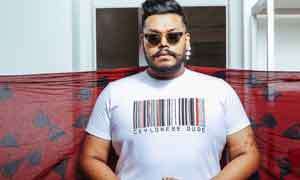 Sri Lankan designers interspersed with an interesting mix of international, mostly Indian, labels and one of the few places to find fine and costume jewellery in a cool contemporary setting. Typical of her passion, Annika has been casting her exacting eye over the collections since PR’s inception, editing them to suit her loyal following. Her chic store, showcases elegant and sophisticated ready-to-wear from pieces from home-grown labels like KT Brown and Sonali Dharmawardene, cutting-edge from young designers like Vathsala Gunasekera and Dinushi Pamanuwas La Pard, classic-but-cool pieces from KUR, heavy hitting international names like Prayal Pratap, exquisite jewellery, especially the must-have Totem collection from Papillon du the and laid-back offerings of off-duty staples from her own label MAUS to name just a few. The jewel in the PR crown is its collaboration with and hosting of original designer trunk shows, like the one on the 28th & 29th of June with Indian designer Rashmi Varma, that engage consumers and add value to Colombo’s fashion landscape. Rashmi Varma launched her eponymous label in 2013 in Delhi, it’s a womenswear label with a love and respect for artisanal craft culture. Her clothes are utilitarian yet elegant, with luxury in the crafting and details. At the heart of Rashmi Varma is the desire to make useful and beautiful clothes for women, about women. Varma’s iconic much lauded sari-dress was first designed five years ago, it has seen several iterations since—is literally a dress with a take on the sari. Pre-pleated, fitted, silhouetted, it’s a dress with a zip on the side that you can slip into in a second. Her experience as a costume designer on films, including Deepa Mehta’s Heaven on Earth in 2008 and Cooking with Stella in 2009, honed Varma’s ability in creating storytelling through a character’s clothing. For her label, this manifests in cohesive capsule collections, weaving narratives through details and colour. Whilst her clothing has a global appeal, textures and embroidery lend a refined Indian twist and understated luxury. With an early start in interior design and architecture, Rashmi Varma’s designs, performances and installations have been exhibited at the Victoria and Albert Museum, Museum of Canadian Contemporary Art and the Textile Museum of Canada. Her first publication by Phaidon Press was released in 2016 titled SAR: The Essence of Indian Design. Rashmi Varma was the Associate Creative Director on The Sari Series by Border&Fall, an anthology of short videos that documents some of the lesser known drapes from across India. “The Sari Series was created with two objectives. The first: to create an accessible and comprehensive cultural documentation of India’s sari drapes through short film. The second: to address a needed perception shift of the garment. The first being a required resource, the second, our point of view. ” - The sari series. With its engaging aesthetic, well conceived spaces and a focus on emerging talent and sought after labels, this constantly evolving concept store has a fresh take on a contemporary edit of desirable labels. 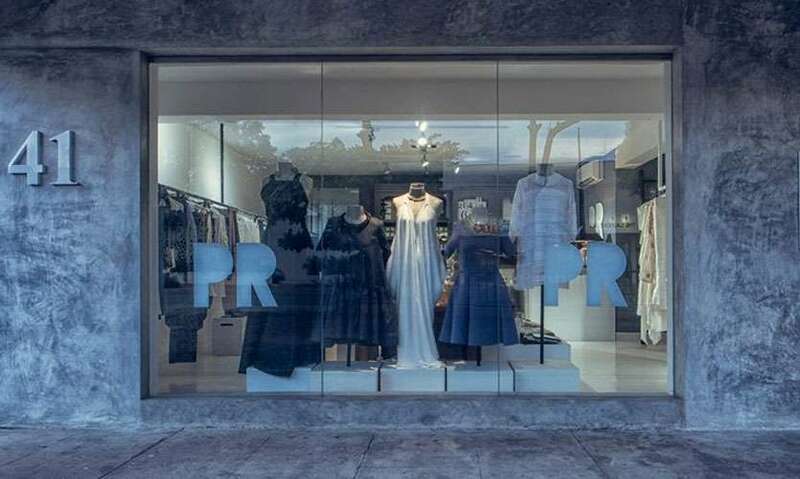 If you’re looking to update your wardrobe, with some always on-trend and a mix of classics too, then PR at 41 Horton Place, Colombo 07 is essential shopping!